Tags: abuse of power, nypd, police officers, sean bell, tasers, tasing, vicitims, WHO DOES THAT?! Malign me if you will, but I think that the types of men and women who are attracted to jobs in security and law enforcement tend to be under-educated, prone to violence, and power-hungry. They can’t figure out how to get the power they want via the normal routes, that is – by working hard and mastering something, so they gain authority through artificial means. In my opinion, this is why there are so many cases of abuse of power within the ranks of law enforcement. One very clear case of this was the 2006 Sean Bell shooting in New York City. 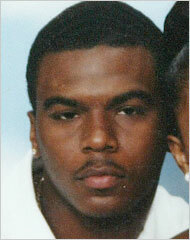 Sean Bell, who was killed by the NYPD the night before his wedding. How sick is that? How is that appropriate? WHO DOES THAT?! I am a police lieutenant. I have a masters degree so I am “highly educated”. I work hard at mastering my job which involves everything from learning law, writing reports, training in self-defense and firearms skills, studying crime trends and developing solutions, investigating crimes and myriad other tasks. I suggest that you request a ride-a-long with your local department and do so a number of times to be sure that you get a good grasp on what your local police have to deal with every day. We are just people trying to do a difficult job. In situations like this you have to remember that there are many sides to a story and just swallowing what the media puts out will not give you the entire picture. Cops make mistakes, some do outright wrong and some do right and get mislabeled as wrong. In addition, the police ina major city are vastly different from those in a suburb or small town or the State Police. Painting all cops a bad is as short sighted.